Madison Square Park is one of the great many parks in New York City. 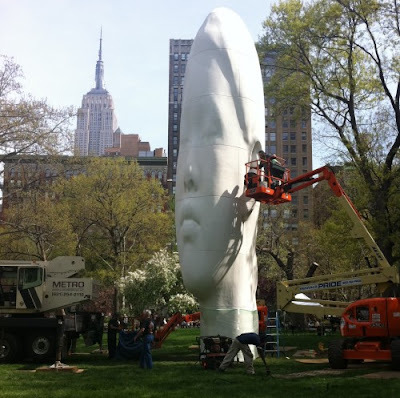 It is located between 5th and Madison Avenue, 23rd and 26th Streets...Hours are 6am to 12am. always follow the rules of the park ...makes it nice for everyone !! 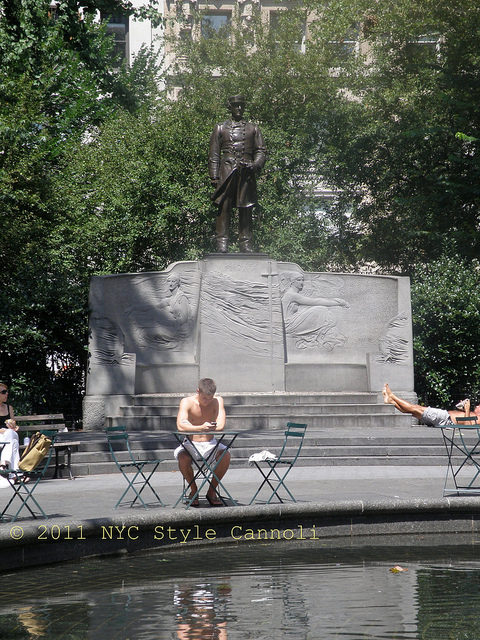 Dedicated on September 27, 1876, this sculpture by Randolph Rogers his was the first statue to be installed in the park. 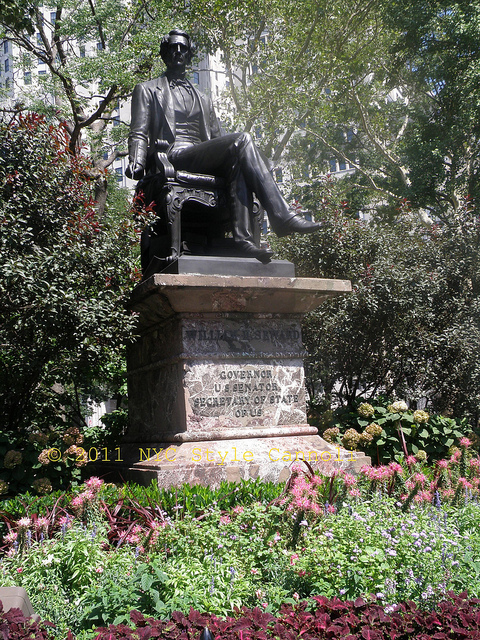 William H. Seward served as New York’s Governor and U.S. Senator before being appointed Secretary of State by Abraham Lincoln. 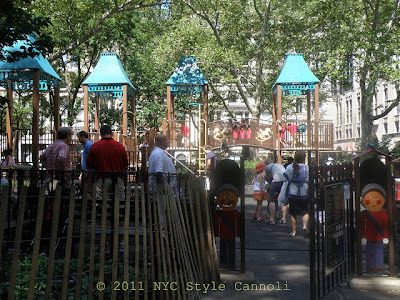 a great children's play area called "Bridget's Garden" is a real treat for the little ones!! this photo is from the Madison Square Park website for Echo a 44 " high sculpture by the Spanish artist Jaume Plensa ...on view from May 5 to August 14th. More information can be found HERE. Hi Rosemary! What a great quote! I think it will stay with me for a while! ANd this city...I just have to visit it soon! Have a wonderful weekend! 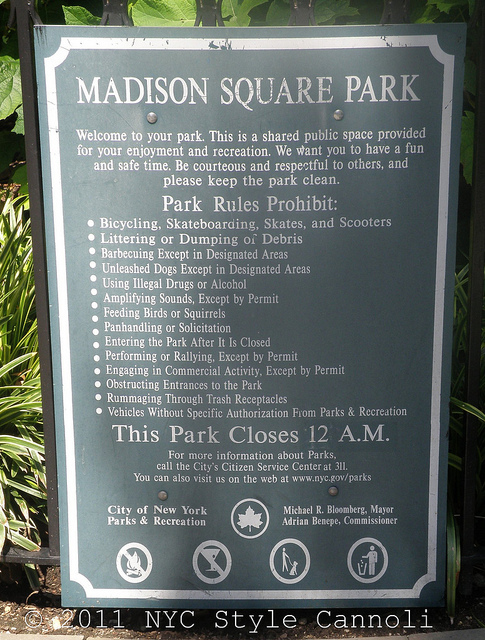 Madison Square Park looks like a great place to relax and enjoy the nice weather. Wish that I was there! !